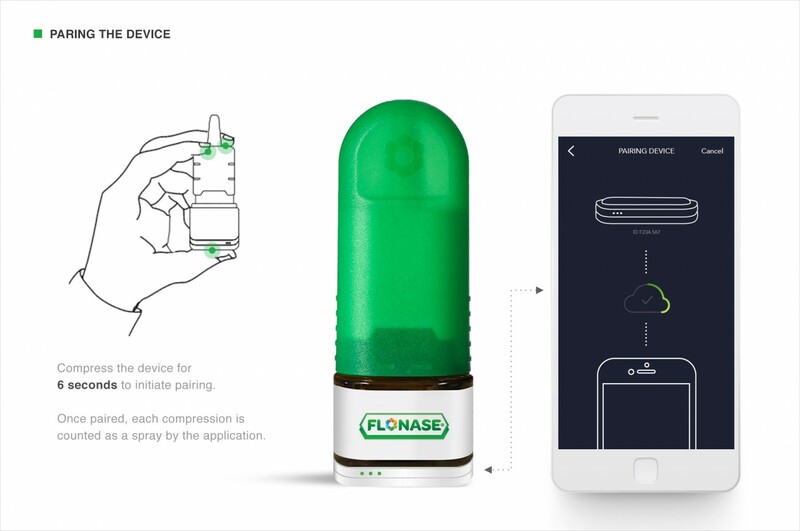 Flonase was the number one doctor recommended allergy medicine for years as a prescription nasal spray. 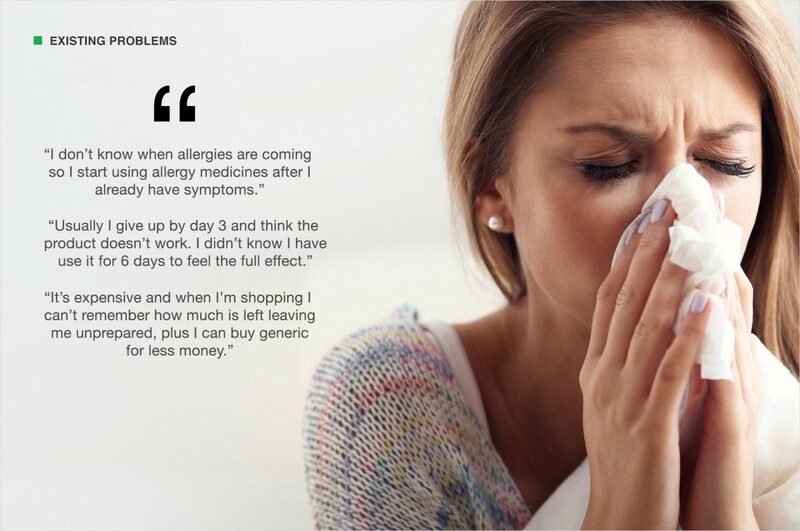 When this superior product went over the counter its powerful claims drove significant trial at launch by attracting allergy sufferers from all over the country including an entirely new customer base, pill users. Its success also created a new set of problems that needed to be solved if the brand were to continue growing. Most people are not aware of when allergies are heading their way and therefor treat their allergies by taking a pill after already experiencing symptoms. 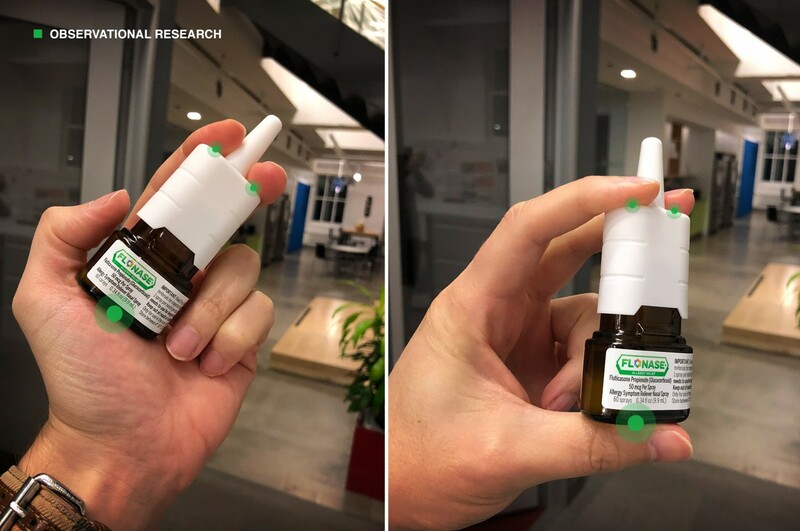 These reactive pill users were now trying Flonase nasal spray and using the product the same way they were using their pills, which was a huge problem. 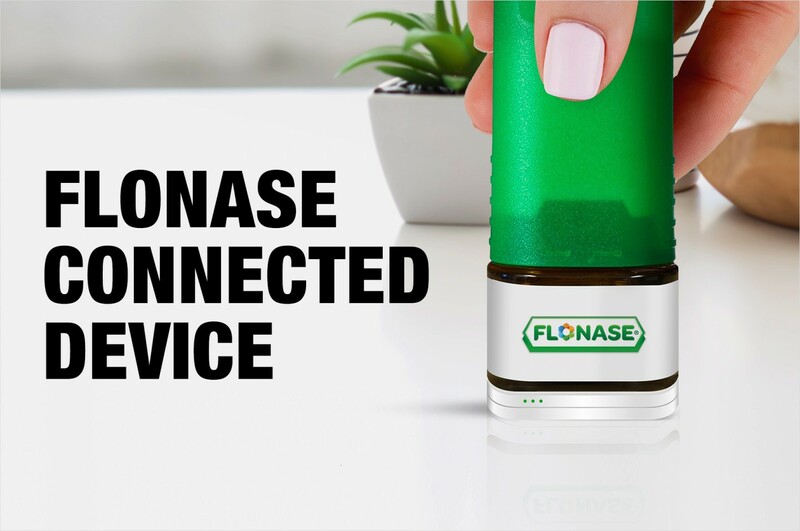 Flonase requires a more proactive approach to managing allergies and needs to be used for 5-6 consecutive days in order to experience the full effect. This left pill users thinking the product did not work or measure up to its claims. And to make matters worse, retailers across the country were planning on releasing less expensive private label versions of the product. 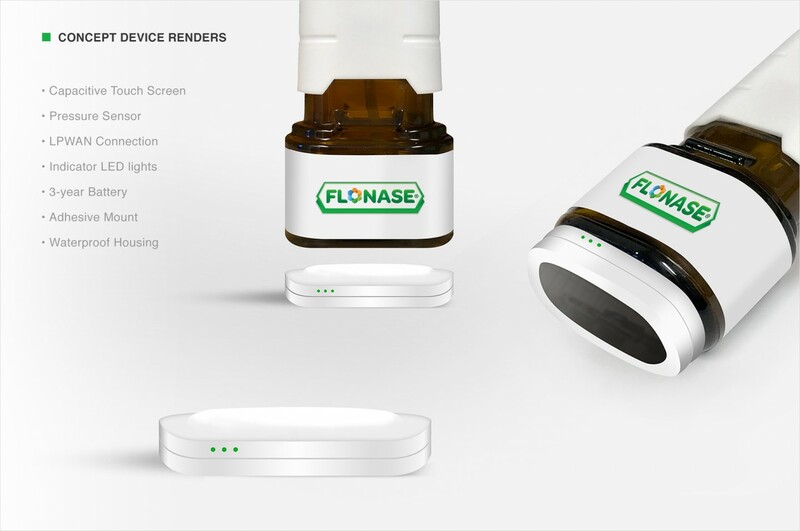 So, I developed a concept for a connected device that could be included in-pack to justify the higher cost of Flonase while delivering a superior allergy experience. 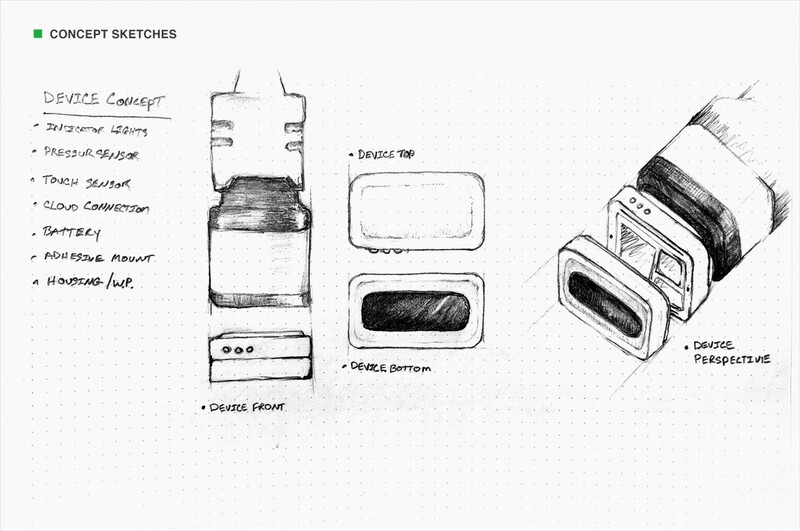 After some quick observational research to understand how costumers hold and administer the product, I came up with a device concept that could easily attach to the existing bottle form. Using a capacitive touch screen and pressure sensor, product usage could be easily tracked by a companion application. A waterproof housing was used to protect the hardware from bathroom moister and LED inventory lights indicated when a user was running low on product. 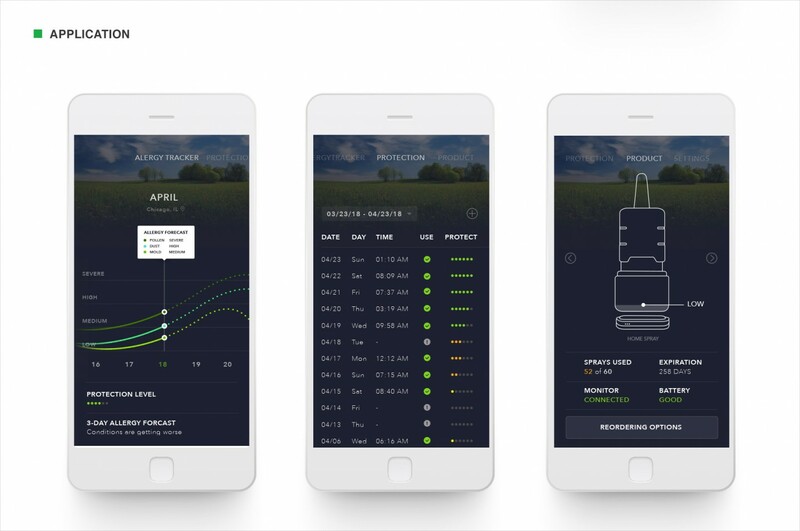 Once paired, the companion application provided personalized allergy forecasts based on a user’s location and push notifications to encourage proactive product usage and ultimately product efficacy. 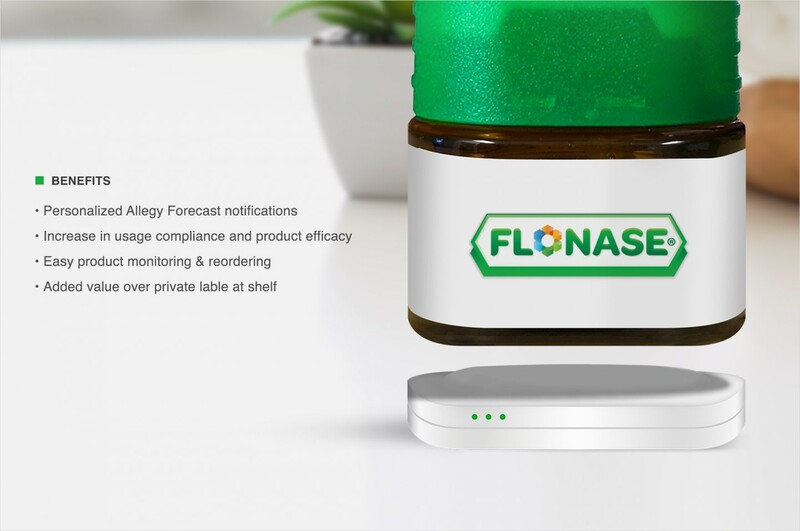 It also allowed users to monitor their level of allergy protection while conveniently automating reordering ensuring they always had Flonase on hand and a positive experience.